Get a souvenir that really tells a story! Want a truly individual souvenir that will bring back memories for years to come? We’ve got you covered with a range of authentic WWOOF gear available in our Shop. 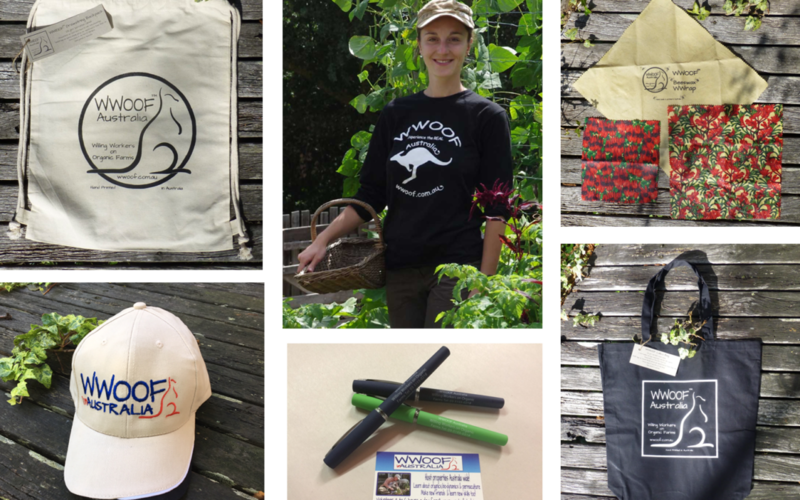 Take home a piece of your WWOOFing experience and tell the world that you’re a WWOOFer with your cap, t-shirt or bag! WWOOFers: Excited for your trip? Why not get a WWOOF outfit now and make it easy for your Hosts to recognise you at the train station? Hosts: Why not buy a few items to gift or sell to your WWOOFers to commemorate their time with you? You can even set up your own little “WWOOF Shop” at home. It’s a great way to get the WWOOF name out there and attract even more volunteers to your property.